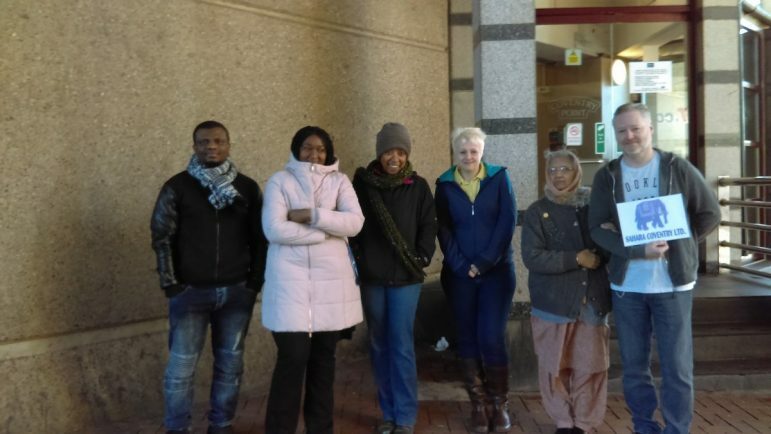 Vanny of Vanny Radio, Beverley Hartley, community artist, Christabell Amoakoh, the Highlife centre, some of the team at the Sahara centre, Sam Schoolar, Shine a Light Support Service - a small representation of the charities occupying Coventry Point. 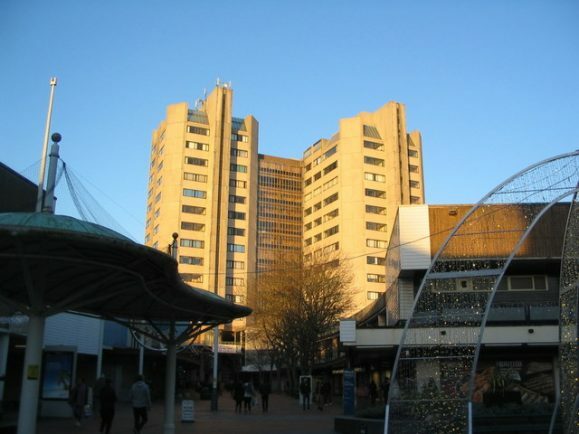 MORE than 40 city charities – including one which helps children with cancer – have been served ‘eviction notices’ at Coventry Point tower block in the city centre. It means some have been thrown into turmoil at short notice, including Shine A Light Support Service for youngsters and their families living with cancer. Shine A Light Support Service this week issued an SOS call to companies and others to help. The tower block is being purchased by Coventry City Council to enable demolition to make way for its ‘City Centre South’ redevelopment plans. The purchase agreement with landlord Aviva Investors was only agreed by full council in recent weeks. Now some 43 tenants say they have received the notice to leave in a letter via sub-letting agency Centric Community Projects. Shine A Light Support Service is a registered charity founded by Sam Schoolar, herself a survivor of childhood cancer. At Coventry Point where it has had a peppercorn rent, the charity offers services including drop-in sessions, counselling, teen events, and activity days. Ms Schoolar told us: “It’s a devastating blow. “We had a meeting with a councillor in November, and had been told it would be May or June, which would have given us more time to move out. “The council has been trying to find us premises but there is a shortage in the city centre and they are now talking about using vacant rooms in community centres. The charity is looking for similar-sized 200 sq m alternative premises, in the city centre or as close as possible. It is also seeking help from the community with finding a location, packing and moving furniture and equipment, storage and possible redecoration. Ms Schoolar said the charity already had good community partnerships with Coventry Building Society, Henry Isons Funeral Directors, Band Hatton Button Solicitors and the Coventry and Warwickshire Chambers of Commerce. Other charities at Coventry Point affected include Coventry Irish Centre, Highlife Centre, Abacus, Terrence Higgins Trust and The Hummingbird Centre. The charities, some of which are larger and have premises elsewhere, all help disadvantaged people through sickness or other disadvantaged circumstances. A coucil spokesperson said: “The council doesn’t own Coventry Point. The current landlord has issued the eviction notices. * Since we reported this story on Monday, the Priory Visitor Centre in the city centre has offered discussions with Shine a Light and other charities with a view to providing a hot desk or some form of accommodation.